The Strata-Sphere » Donald J Trump Is the Next President of The United States of America! Donald J Trump Is the Next President of The United States of America! Texas: with 38 electoral votes to submit. So even if the lone TX elector defector does not vote for Trump, Texas will put him over the top – with a handful of Midwestern states yet to add to that total. Trump’s defeat in the Electoral College is now mathematically impossible. Donald J Trump is the next President of the United States of America!! 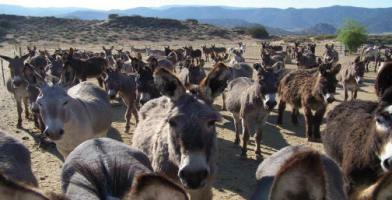 And the left and the “news” media (sorry, redundant I know) look like a herd of Jackass’s. Update: At 4 PM Eastern Hillary as 3 defectors to Trumps 0 (expect one with Texas). So her participation prizes are “winner of the popular vote” and “winner of the faithless elector vote”! Let the fun begin! George Soros and Michael Moore are no match for Donald J.Trump….but that won’t stop them from trying!